Thank you for your support and encouragement this year! I love to crochet and I love to design – but most of all I love sharing it with each of you – because you appreciate it! Whether it is by clicking the “like” button on a Facebook Post, sharing PINs with your friends, leaving me lovely comments on my posts, or participating in our group Crochet with Us on Facebook – each of you has become an important part of my “Crochet Family”. Amy and I wanted to do something extreme – something we had not seen done before in a Giveaway – to show our appreciation and our Thanks – we decided to purchase a complete set of Clover Amour Crochet Hooks – 24 Crochet Hooks in Total and a pretty Uptown Mini Pouch from Thirty-One Gifts to store them inside! It’s no secret how much we both love our Clover Amour Crochet Hooks and products from Thirty-One Gifts! Now, we are going to share that love with you! 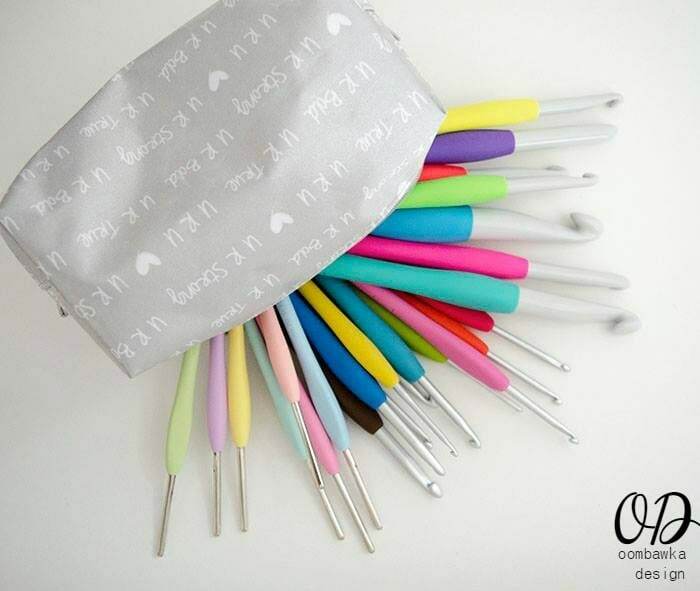 That’s 24 awesome crochet hooks and a pouch to fit them all into! You also get five free entry points each day for doing nothing except visiting either Oombawka Design or The Stitchin’ Mommy and clicking on the Rafflecopter widget option button. The giveaway will begin on November 17, 2015 and will end on November 30, 2015 at 11:59 pm ET. The giveaway is open worldwide, where allowed by law. Thank you for the awesome give away opportunity! I could really use these. Wonderful giveaway! Thanks for a chance to win. You are so wonderful & generous to offer such an amazing giveaway! You will be making someone extremely happy! Fantastic giveaway!! Thank you so much!!! What a generous giveaway. I would love to win this!! I thought I knew how to crochet, but Oombawaka has taught me soooooooo much more. hank you. Love getting your newsletter/blog; I get wonderful patterns &information from there. My GO-TO page ! would love to have CROCHET HOME ! What a generous giveaway! Love reading both blogs. Thank you both for all of the beautiful work. These hooks are awesome! Ty so much for running a great giveaway! Rhondda, thank you so much for sharing your pattern designs with all of us. Thank you also for sharing other designers patterns with us. You give inspiration to all fellow crocheters as does other designers. I have never used Clover hooks but would love to win theses to try them and add to my collection. I have used Crochet Dude padded hooks. I love how easy and less strain on my hands. I’m 59 so croc h eting is my meditation from stress and from pain from arthritis. It keeps my mind fresh as well. I started a new job at the beginning of September during September and October I was in training for my new job. I actually was so stressed from everything I quit crocheting. Now that I’m out of training, I can sit at my desk and crochet until I get a phone call. After I’m done on the phone I can go back to my crochet. I would really like to win these hooks. I hope you have a wonderful and happy Thanksgiving with your family. God bless you for all you do for your fellow crafter’s. sooo many thanks for such a great giveaway, I LOVE these cute colours !! You’re so right–we do appreciate you and all your lovely patterns and tutorials! Thank you so much for your beautiful patterns (and the help to make them) and this fantastic giveaway–truly a GRAND prize for the winner. I’ve been needing new hooks! This giveaway is perfect! Hoping to try these out. This has to be THE best giveaway EVAH!!! Best hook giveaway ever! I need to win some creative crochet books to expand my tiny library. I only have 3 books so far. To me crochet is my gift to my family friends , even myself! I ll continue to learn everything i can to be the confident hook n by crook kinda girl . so thank u! Very nice website & blog, I like what you’re doing. 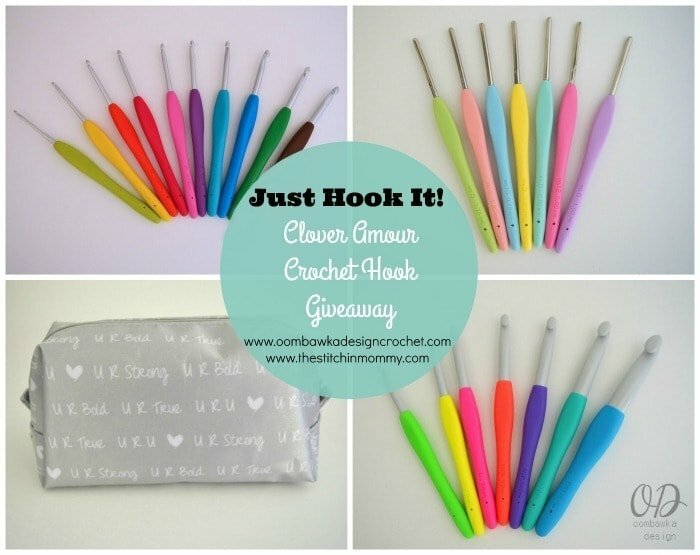 I have Arthritis and I think these hooks would really help me crochet longer I would really love to win them. What an amazing give-a-way! Excited to check out your Pinterest. I’ve heard so much about these hooks. I’d love to try them! Thanks for the giveaway! THANK YOU for your generosity in this give-away. I pray I will be favorably chosen to receive this. What a wonderful giveaway! These hooks look great! Thank you! Would LOVE a number of the books; especially “Crochet for Home”, but can’t afford it at the present time. Your stitch tutorials have helped and inspired me, as well as your designs ! Could really use the Hooks ! Just found your website tonight and this will be a regular place for me!! your giveaway is so generous and would be a dream to receive!! Would love to win this set so I can gift it to my great-niece, Maleaha, who is just beginning to love to crochet. A dream hook giveaway with all the sizes I need! Started using one of these H hooks several months ago and absolutely LOVE it! Am saving up for more of them. This is a great give-a-way, thanks!!!! This is an awesome gift! The pouch to store them is cool. I am just learning to crochet and love how quickly a project comes together. Thank you for all the work you do on patterns and blogging. I get so very excited everytime I see a crochet competition. Thank you for the great giveaway. I enjoy all your patterns that you and Amy post. I am starting to give up crocheting as I cannot hold the hook that long. But I will continue to look at your patterns. Thanks for the giveaway. Enjoy my FB feeds with wonderful crochet projects! Love these clover hooks! Awesome giveawa! Thank You! Wow! What a fantastic giveaway! Thank you! !